Andretti Autosport teammate Marco Andretti shook down the car, which is painted in classic Team McLaren papaya orange, before Alonso did 10 laps at 205-210 mph, 15 laps at 210-215 mph and 15 laps at 215-plus mph. 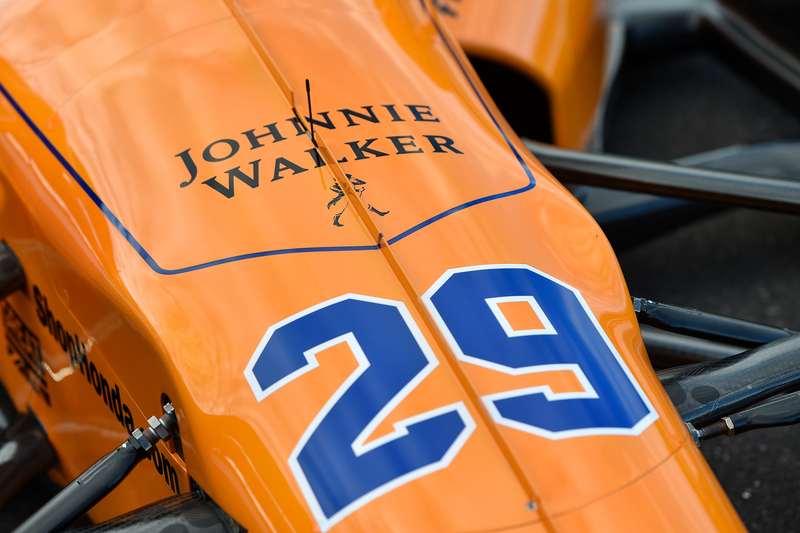 McLaren is returning to the Indy 500 on May 28 for the first time in 38 years. Practice for the Indianapolis 500 begins May 15 with qualifying on May 20-21, so the 35-year-old Spaniard has a lot to learn in a short time. He’s still had to juggle F1 commitments, which has meant an overabundance of travel. Alonso was unable to start Sunday’s Russian Grand Prix due to engine issues and will compete in the Spanish Grand Prix next week. 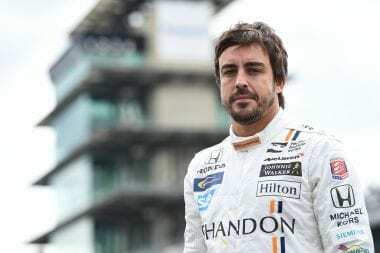 Alonso ranks sixth on F1’s all-time win list with 32 victories and celebrated world championships in 2005 and 2006, but hasn’t won a race since 2013 and his interest in enhancing his racing resume has brought him to Indianapolis Motor Speedway. A day after preparing in a racing simulator, Alonso said his confidence grew with each passing lap. By day’s end, he had completed 110 laps with a top speed of 222.548 mph. “I think it’s a good way to start, to build speed,” he said. “It was difficult at (the) beginning to reach the minimum speed. The next stages felt good, not because of the speed but because of the laps. You’re able to fine-tune the lines; upshift, downshift, which gears to use in the corner. Andretti Autosport CEO Michael Andretti, who will field six cars in the race including defending champion Alexander Rossi, liked what he saw from Alonso’s initial experience. Three generations of Andretti racers – Mario, Michael and Marco – as well as Rossi and 2003 Indy 500 winner Gil de Ferran were among those giving Alonso advice. Mario won the 1969 Indy 500, Michael has celebrated four Indy 500 victories as an owner in addition to leading the most laps (431) without winning as a driver and Marco was a rookie runner-up in 2006 and is in his 12th season as a Verizon IndyCar Series regular. Marco Andretti said cooler track conditions, with ambient temperatures in the low 50s, combined with Alonso being the only driver on track provided an ideal setting for the initiation. Alonso kept churning out laps amid a threat of afternoon showers as darker clouds drifted over the speedway. And what of sorting out the input from so many voices? “He’ll have to learn by fire from a lot of it,” Marco said. “But he’s asking the right questions.